"I DON'T WANT TO BE THE BIGGEST, I WANT TO BE THE BEST"
At Skara, we pride ourselves in the production of traditional smallgoods, working in partnership with our farmers and our passionate team, to ensure control and consistency throughout our processes to produce some of the finest smallgoods you’ll ever taste. Skara’s journey began in 2007, with a one-man business and a dream of producing premium continental charcuterie. The dream has flourished, our brands have grown, and our dedication has been rewarded with numerous local and national awards. Those humble beginnings still influence us. We know attention to detail, working alongside our farmers, and caring about every step of the process from paddock to plate are all essential ingredients in the Skara recipe for outstanding flavour. From the Skara family to your family, we say ‘dobar tek’. Skara’s products are smoked in traditional brick wood fire smokerooms, harnessing centuries-old tradition and our family’s Croatian heritage to deliver that true smoke flavour in our products. We are proud to say our products are gluten free, made using fresh meat and uniquely flavoured with recipes influenced from our Croatian heritage. Our production team is led by passionate foodie Anthony Skara, who has been making artisan smallgoods for more than 30 years. Skara have developed two brands for the consumer, Skara and Adelaide Hills Fine Foods, which produce over 20 smallgoods products, packed in a number of variations, either in bulk whole, bulk sliced and convenient retail packs. The Skara brand presents a flavoursome selection of retail prepacked premium smallgoods, beautifully packaged to compliment the quality product. For superior supermarket presentation, Skara’s smallgoods come packed in stylish shelf ready cartons yet are also designed for individual hang cell use. Either way, this brand is a stand out. The Adelaide Hills Fine Foods brand presents two prepacked retail lines and a wide range of bulk-packed charcuterie for food service and outlets such as delicatessens and gourmet retailers. These products are designed to provide you with a flavour-packed point of difference and to provide your customers with quality flavour. Premium charcuterie can only be created when the best quality, fresh meat is used. We have worked with our farmers over many years, and we proudly support local small and medium family farms. We source all our meats from within South Australia and, where possible, use certified free range meats. Skara also supply premium fresh pork cuts for food service, sourced directly from our local farmers. Our farmers are an important ingredient in Skara’s recipe for our outstanding flavour, we value their loyalty and the relationships we hold. We’re thrilled to announce that out of the three categories entered, Skara were honoured to not only be a finalist but also be prized as the winner for two categories. We are also proud to announce of the 13 smallgoods products entered in Sydney, 12 were awarded a medal. Skara Smallgoods products have consistently been winning awards locally and nationally since we began making artisan charcuterie. 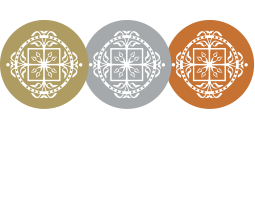 These awards include medals for our products and business excellence and sustainability, demonstrating our commitment to quality, to our customers and to our consumers.